TCL 55S405 vs 55S401 Comparison : What Should We Know about Their Difference? 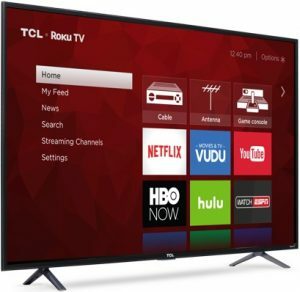 Talking about TCL 55S405 and TCL 55S401, we are talking about two closely related affordable TCL 4K LED TVs. 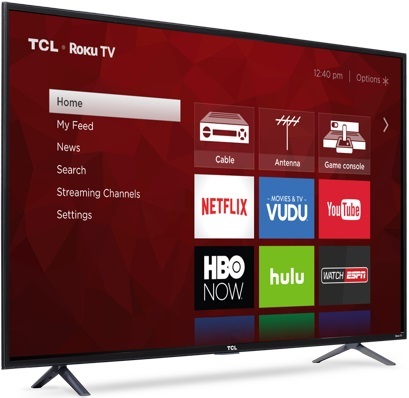 Both of TCL 55S405 and 55S401 are introduced as part of TCL’s 2017 4-Series. We can find that those two TVs are two choices that we should consider if we are looking for most affordable 55-Inch 4K UHD TV with HDR support. What should we know about their difference? In this article, we will talk about TCL 55S405 and 55S401 as well as their difference to help you decide which of them is the one that you should choose. We need to know the specs and features of TCL 55S405 and 55S401 before we can talk more about the difference of TCL 55S405 and 55S401. The specs and features of those two affordable 55-Inch 4K UHD TV can be found in the table below with similarities-differences format. Is There Any Significant Difference between TCL 55S405 and 55S401? We can find that most of the specs and features of TCL 55S405 and 55S401 are similar. They both come with 4K UHD Resolution that completed with 4K Creative Pro upscaling engine. They also come with 4K UHD Resolution that completed with 4K Creative Pro upscaling engine to deliver HD contents into near 4K picture quality. We can also find that both of TCL 55S405 already support HDR10 so that we can enjoy enhanced details with expanded contrast from our favorite HDR10 content sources. 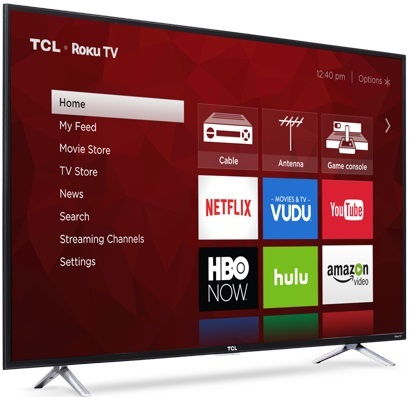 We can also find similar Roku TV installed on both of TCL 55S405 and 55S401 that completed with similar Roku TV RC282 as their remote control. We can find that there’s small difference in the color of the TV stand of TCL 55S405 and 55S401. TCL 55S405 comes with silver grey stand, while TCL 55S401 comes with black stand design. Although both of them come with four-legged stand design. We can also find that TCL 55S405 is not an exclusive models that offered by most retailers, while TCL 55S401 is an exclusive model that we can only find in Walmart. Samsung UN55RU8000 vs UN55RU7100 Comparison : Is Samsung UN55RU8000 the Higher Model that You Should Choose? Sony XBR55X950G vs XBR55X900F Differences : Why is the New Model a Better Choice for You?